1-Using LTE may decrease battery life. 2-Higher cellular speeds may cause data overage as a recent survey found that people with 4G LTE phones are likely to use twice as much data as those with 3G. 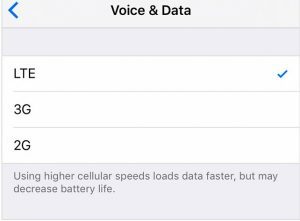 Depending on your carrier’s network (At&t, T-Mobile etc), the cellular settings on your device may differ. 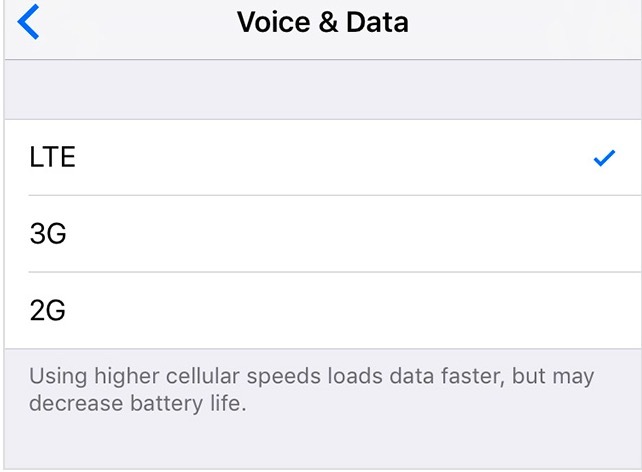 If you select Voice & Data, this means calls and data use will be over the LTE or 4G network. 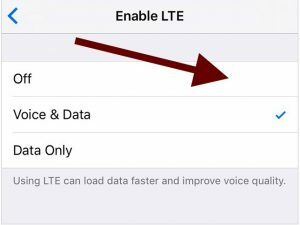 If you select Data Only, this means that data will be over LTE but not voice calls. Then select 3G or 2G. Please note that depending on your carrier, you may see a UMTS or LTE connection. UMTS, Universal Mobile Telecommunications System, is a 3G connection.